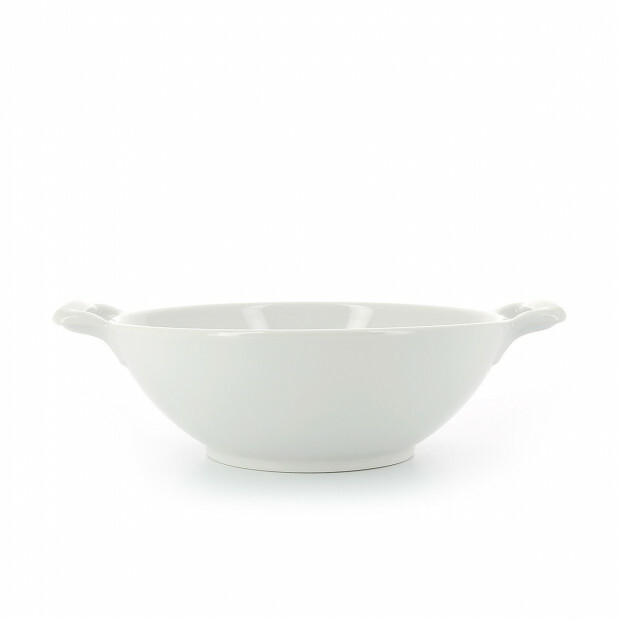 The salad bowl from Belle cuisine collection is good for serving a small salad, for 2 people, and can be used for both preparing and presenting the food, family style. 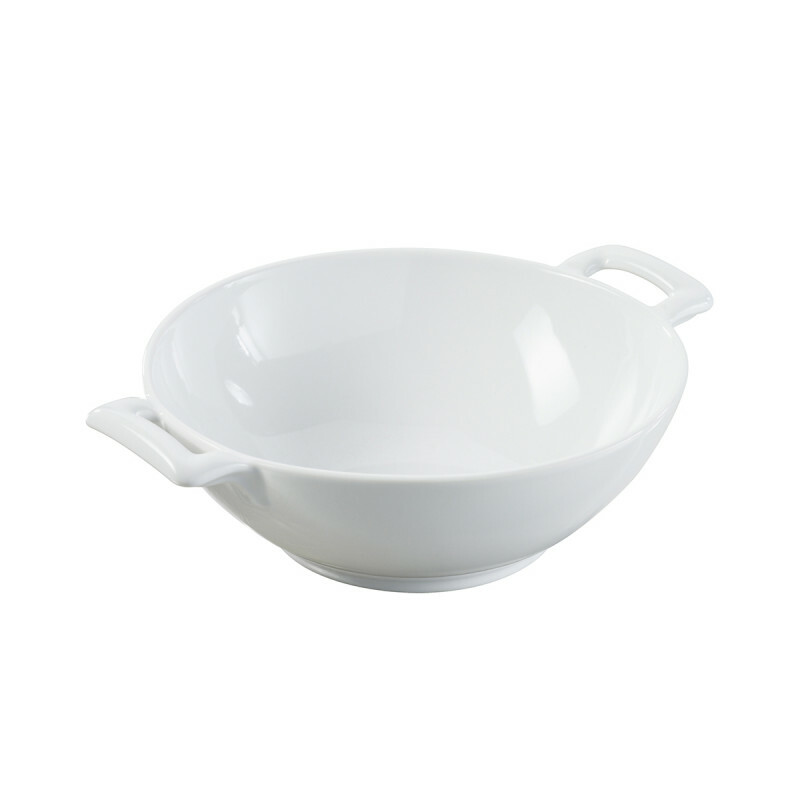 It is also perfectly shaped for an individual pasta dish or risotto. You can season your dishes with the provencal olive oil and vinegar cruets French classic. Handles are part of the same mold for more resistance, easy grabbing and easy handling. Made of culinary porcelain, the salad bowl is resistant to thermal and mechanical choc; it can also be used in the oven and microwave and it is of course dishwasher safe. 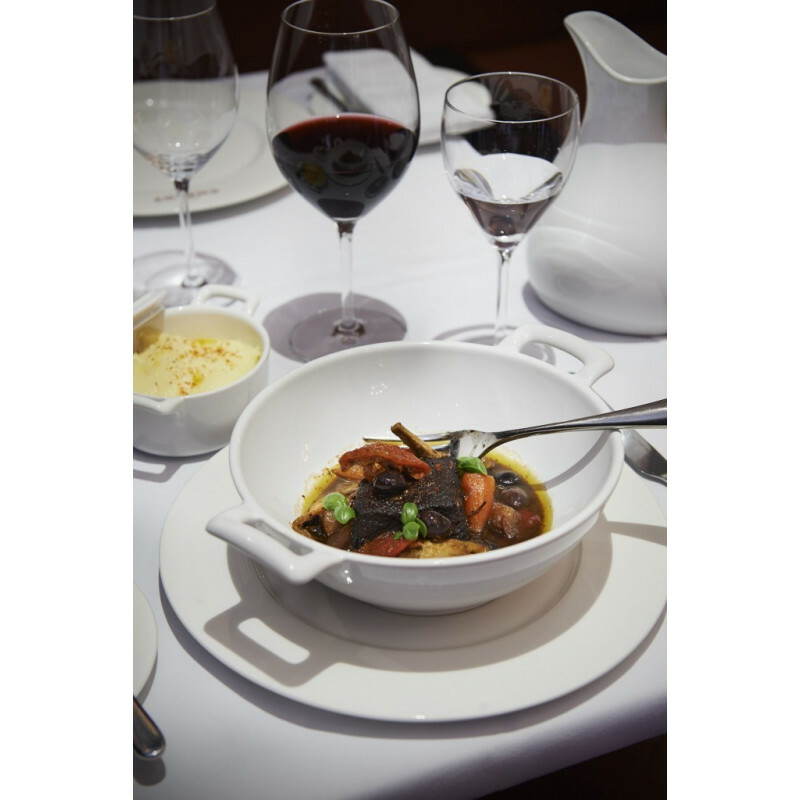 Belle cuisine line has been designed by our current president and his father while travelling to the USA a few years ago: American chefs liked handles on their dishes but most of them were fragile… So Revol came with the solution of a one-block dish that allows a perfect grip and safety. 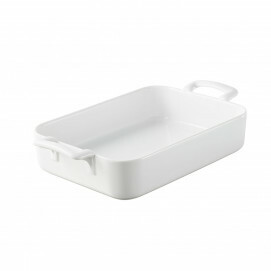 The dish does not scratch, does not craze and will remain white use after use. A must piece convenient for everyday use! 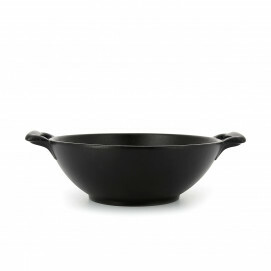 Also available in black cast-iron style. SERVING SUGGESTIONS: Salad, vegetables, mussels.